strings make the difference in every grand slam. and in your game too! The string wall at Courtcraft is possibly the largest in metro Atlanta, with over 85 different stri﻿ngs, encompassing all categories of string material: natural gut, nyl﻿on, polyester, and ke﻿vlar. With the number of strings coming on the market growing each year, the process of picking an appropriate string for your game can be confusing. In fact, there are over 800 strings on the market at present! We've selected a range of strings from the daunting list to help our customers eliminate some of the confusion. We'll ask you a few questions about your style of play and what you are looking for in a new or different string in order to choose a suitable option. We've created and display a String Selection Chart in our store that features key characteristics of our stings, sorted by stiffness level, to add to your string education. 24 hour turnaround is guaranteed. 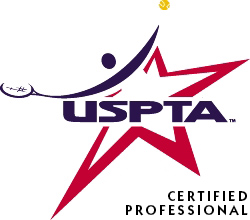 Our certified racquet technicians can get you back on the court even sooner if workload permits and you get your frames to us early in the day. Complimentary bagging like the pros is included on all string jobs. While you're at it, treat yourself to fresh grip and your racquet will feel new again. And...we keep detailed, computerized records on your stringing history. We remember so you don't have to. String brands represented: Babolat, Luxilon, Wilson, Tecnifibre, Gamma, Prince, Solinco, Yonex, Dunlop, Head, Yonex, and Volkl. 10 String Facts for a better playing experience and combating tennis elbow issues. 1) Softer strings produce more power than stiffer strings. Multifilament synthetics and natural gut are the best at doing this. Natural gut is almost twice as resilient as the best multifilament. Use natural gut if you have tennis elbow. This type of string is best at absorbing shock and returning energy to the ball. 2) Higher tensions produce more control. Remember though that you “can’t buy control." Your swing still has to be efficient – higher tensions offer relative improved control. 3) Lower tensions increase the size of a racquet’s sweet spot. 4) Lower tensions will also produce less shock. 5) Lower tensions put less stress on the elbow. 6) Thinner strings produce more spin. 7) Thinner strings are more powerful, compared to the same string in a thicker gauge, when strung at the same tension. 8) Thinner strings produce less shock. 9) Dead strings are less resilient; they return less energy back to the ball and force you to swing harder. This can result in more shock transferring from the racquet to your arm, causing tennis elbow. 10) A racquet strung tighter will have strings wear faster than if strung at a relatively lower tension.